Rookie detective Izzy O’Donnell is on the trail of a serial killer who’s murdering victims and leaving behind body parts wrapped in Bible verses. Izzy tracks him down with the help of her two partners—a very enigmatic Moreno and a rather grumpy Cal—her injured dad’s former partner. Meanwhile, her wacky sidekick, Apple MacIntosh, totes a pet rabbit around in a baby sling, insisting he’s telepathic and can smell death on Izzy’s clothes. Unnerved by unexplained dreams, Izzy forges forth to solve the case. A homeless man, a philandering televangelist, and a mentally challenged gardener are among the suspects who distract Izzy from seeing the killer, who has been getting to know her all along. Anticipation. It’s hard to wait. I submitted my book, An Eye for An Eye, to a publisher and had some good feedback about it. I’ve made it past the first few hoops, and am eagerly awaiting the thumbs up or the thumbs down. Like any writer, I’ve had my share of rejections. When I first started writing features, I had some rejected. Bummer. But what did I do? I wrote another feature. And then another. And yet another. Now, most stories I write are picked up by one publication or another. Some I even sell the same story to more than one publication. So what does this mean for my book? Well, if I am lucky enough to land a book deal, I’ll celebrate and continue to write my next book. If I acquire another rejection to put on my spindle, I’ll know that I’m a real writer because I had the courage to send the book off for consideration–and continue to write my next book. Writing is a craft. You can’t get better at writing if you don’t write. Letters form words. Words form sentences. Sentences form paragraphs. Learn to put them all together well, then practice, practice, practice and a writer will emerge. Meanwhile, while I write, I wait. I had to bust out laughing. First of all, I’ve never been a serial killer nor do I ever plan to be. So researching serial killers took some time. I admit to watching a ton of Criminal Minds with my friend Aubrey (who I will never forgive for saying “Boo!” at a particularly perfect moment and making me jump out of my skin) and spending the afternoon soaking up video anthologies about serial killers (popcorn included) with my friend Linda, a psych nurse who gave me insight on some very weird behaviors. Furthermore, although I know a lot about Latino culture and I’ve visited Miami, I have no idea where the ritzy houses are located–so I had to find out. Likewise, I had to learn where hookers hang out. I took a class in Forensics for Writers, I had coffee many times with a friend who is a police officer (not to mention the zillion emails I sent). I walked through department stores scrutinizing layouts, and I even had a few beers at a local Irish Pub to study the ambiance. As an aside, I’ve learned I fancy stouts and porters. Who knew? I researched poker hands, checked out the various types of violations health inspectors hand out, I learned what kinds of cars are used in undercover work and recalled my time and the cross-dressed ladies I met in New Orleans on Bourbon Street. I’ve spent a whole lot of time around rabbits and I drew on that knowledge when writing about Norman–Apple’s bunny. So just know that when people ask what in the world you research for a novel, they’re not trying to be offensive, they just really don’t know how much work goes into writing a book. How many hours of sweat, love, imagination, work and research go into making a story believable. Because if the research is lacking, the first criticism is about how the book lacks realism. One of the best compliments we can receive as writers is when readers ask if we did any research because if we did our jobs right, our facts are woven seamlessly into the story. I follow a couple of blogs regularly. One, The Pro Writer’s Toolbox is chock full of writing inspiration, how-to tips. The current discussion is about the pros and cons of e-publishing vs. traditional publishing. The Blevinses engage in active commentary with their readers. The second blog I follow with a passion is The Writer’s Forensics Blog. This blog has lots of comments and tips from D. P. Lyle, MD. I met him in New York City at ThrillerFest last summer. He’s very knowledgeable about forensics. This is also a living blog with commentary and feedback. Check them out! And share with us what blogs you follow! 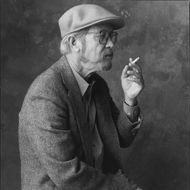 In 2001, author Elmore Leonard, who died this morning at the age of 87, wrote a piece for the New York Times in which he laid out, very simply, his ten rules for good writing. You can read the entire piece, with explanations, over at the Times‘ site, but here are the basic precepts. Print them out. Stick them above your desk. Use them wisely. Stephen King is on to something. Sometimes just staring at the blank screen is daunting. But it doesn’t have to be. Let your characters float around your head and talk to each other–and you–for a while. They’ll help you figure out what you’re going say before you sit to write. That’s the good part. The <em>best</em> part is that they won’t likely tell you everything and they’ll take you on a journey as you write. This method works for me as a feature writer, too. I go and do my interviews. I take notes and pictures. Then I drive home to write. During the drive, I mull over what I’ve learned. What I saw, heard, smelled, tasted, felt. I go into my mental fitting room and try on different leads. Some don’t fit. Others do, but they look better on the hanger than they do in real life. So I ditch them. Sometimes, before I even reach my computer, I end up with a terrific idea for a lead! And when inspiration doesn’t hit me while I’m on the road, at least I’ve eliminated various ideas that won’t work. I accept progress in whatever form it takes. So, as I embark on my second novel, I’m letting my characters talk to me. They ping around my brain and when they hit the wall, they bounce off and another idea forms. Through this process, I’m getting to know them and they’re getting to know me. So the scary part of writing will be in the plot, not staring at the screen.